Snap(shot) Judgements are posts that will appear with no real regularity. It’s primarily a way for us to get thoughts and photos up as soon as possible, especially when we have no plan to write a feature-length column on the subject. 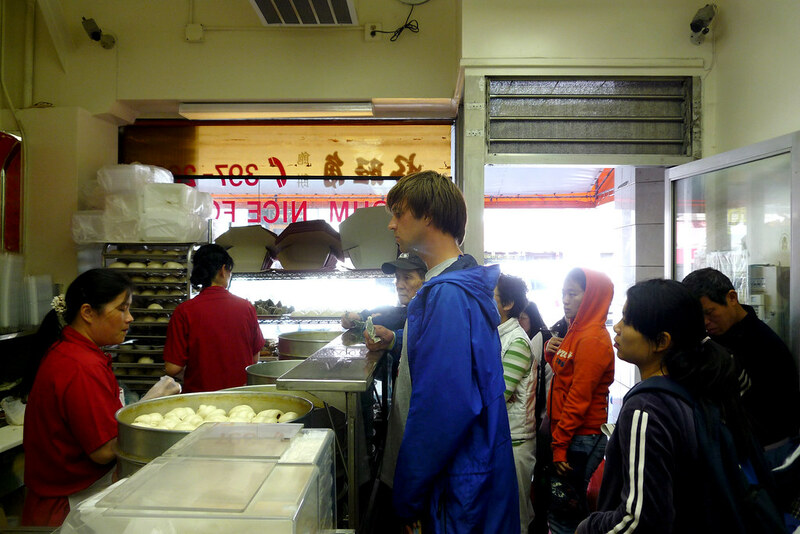 Here, Gary and JP make the rounds of cheap dim sum in San Francisco and Oakland. When JP and I are together, it’s not all fancy restaurants and expensive meals. No, sometimes we like to slum it and get some deliciously cheap eats. That’s especially true when you’ve blown nearly $150 apiece on two meals alone out in Napa. So while in San Francisco and Oakland, we snacked a few times on really inexpensive dim sum from their Chinatown’s pastry shops. I don’t think we spent over $20 between the three shops we visited which was definitely a nice break on our wallets.